A healthy coat starts with a shampoo that is properly ph-balanced to a dog's skin. RenuPlex PLUS is formulated with a base of 100% Aloe Vera and Colloidal Oatmeal for optimal ph balance. Infused with healing essential oils and natural ingredients, RenuPlex heals and moisturizes deep down like no other shampoo to create a healthy and itch free dog! Silk proteins, Omega 3 oils, and an Amino Complex to leave the coat with a brilliant shine and soft feel. Categories: Dandruff & Eczema, Dry Itchy Skin, Hot Spots, Rashes, Stop Shedding. A healthy coat starts with a shampoo that is properly ph-balanced to a dog’s skin. RenuPlex PLUS is formulated with a base of 100% Aloe Vera and Colloidal Oatmeal for optimal ph balance. RenuPlex Shampoo is chemical free, all natural shampoo formulated with wonderful all natural ingredients that will heal and moisturize damaged skin. Shake well before using. Wet dog and massage shampoo into entire coat. Allow shampoo to treat skin for 1 to 2 minutes. Rinse thoroughly. Repeat if needed. Use 2x weekly for first 2 weeks and weekly thereafter. Always be careful with shampoos around a dog’s eyes and ears. 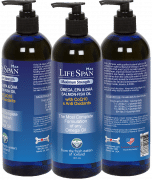 Once skin condition clears begin using on a regular basis to sustain a healthy coat. For use on dogs only. 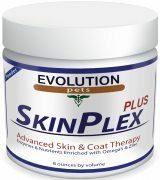 For maximum skin & coat health use in conjunction with SkinPlex Enzymes & Nutrient Supplement. We adopted Max a few weeks back and from the day he came home he would itch and scratch himself so bad, sometimes all night. We tried a few fairly expensive product from Petsmart, but other than smelling good they did not work at all. Found you Renuplex Complete Healing Kit and it has done an amazing job. Max has not been scratching or biting and his coat looks wonderful. In fact we had him groomed and the groomer wanted to know what we were using. We highly recommend for anyone with an itchy dog, or a with a skin allergy……” Amanda, San Diego, CA. Thank you so much for your wonderful products – they are a life saver. Our Jack Russell Terrier had just horrible skin problems and eczema dry itchy skin irritations. We tried so many so called medicated dog shampoo products but none of them had any affect long term. Our Terrier’s skin and coat have never looked better and no more dry dogs skin. And his coats shine and smell is awesome after a bath! Never mind it being a medicated dogs shampoo, it is the best shampoo if you want a good looking good that smells good. In fact our Kennel is now using it in their pet grooming business. 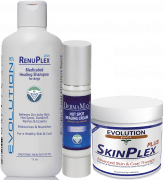 RenuPlex products are by far the most effective solutions I’ve used in my practice to help treat severe skin conditions and itching. They treat the problem at the source, and have helped us treat many skin irritations to include dry itchy skin, poor coat quality, hot spots, eczema, and atopic dermatitis. I avoid treating with steroids or dog skin allergy medications, and use these products which are safer and more effective. I recommend them to pet owners and pet car professionals. … Dr. Julius, DVM. We just wanted to say thank you for your SkinPlex Enzymes and RenuPlex Shampoo. They have helped out our poodle so much with her hot spots and paw licking. Your customer service was so awesome answering all of our questions and recommending the best treatments. You’ve got customers for life with us. Thanks again!……..
Love Renuplex. PS – our neighbors used it on their dog and his hot spots went away. By far the best product to help treat dry, itchy skin and more severe skin problems. We run a grooming business and are always being asked for the best treatments for these types of issues. 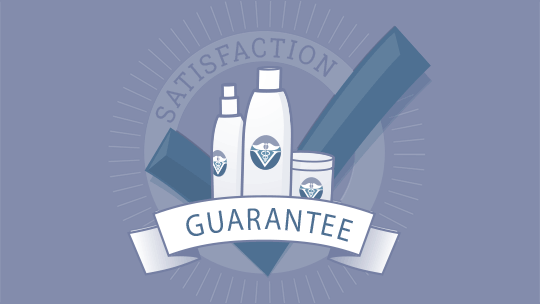 We now recommend on evolutionsupply.com, and so far 100% of our clients that we’ve refereed have been very pleased We also love your new shampoos for smell and shine. nice job!….